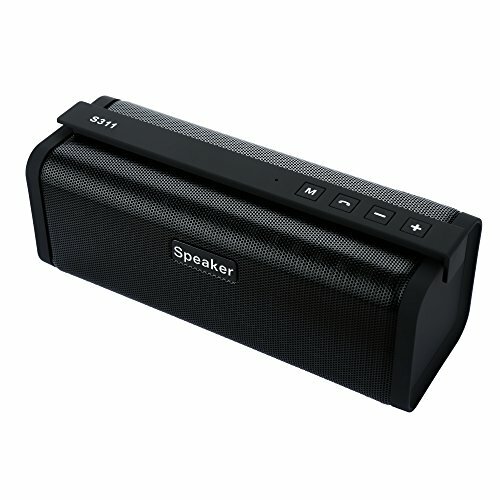 ✔ SUPER BASS SOUND - Dual large 50mm speakers with vibrating membrane. ✔ 100% ORIGINAL PICTURE - Wireless speaker portable bluetooth delivers full, natural sound from an ultra compact. ✔ EASY CONNECTIVITY - compatible with any BLUETOOTH devices and smartphones, players, etc. Support FM Radio,TF card,AUX in,Headphone Jack,enjoy in various ways and everywhere you go. ✔ LONG BATTERY - Built in effcient and safe Li-ion battery which gives you much more fun for indoor or outdoor sport. ✔ HAND FREE - Built in Microphone for hands-free call.The genuine product with SANWO and 12 months warranty with superb customer service, 100% risk free! With our limited time sale price.